Random And Some: "I offer this work as a mere introduction to the wealth of fantastic beasts that inhabit our world"
"I offer this work as a mere introduction to the wealth of fantastic beasts that inhabit our world"
For my birthday my sister Margot gave me J.K. Rowling's Fantastic Beasts & Where To Find Them (2001). The perfect gift for a Potterhead like myself! 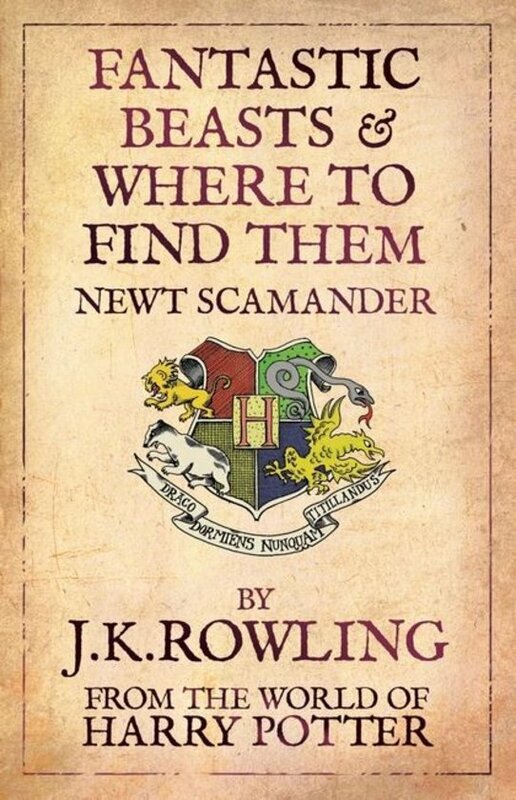 The book is credited under the name 'Newt Scamander' and purports to be Harry's textbook of the same name mentioned in Harry Potter and the Philosopher's Stone. The book benefits Comic Relief, with over 80% of the cover price of each book going to poor children in various places around the world. A couple of years ago, Rowling announced that there will be a movie trilogy inspired by the book, featuring Scamander as the main character, set in a world 70 years before Harry's story starts. Fantastic Beasts is a textbook on magical creatures by magizoologist Newt Scamander. 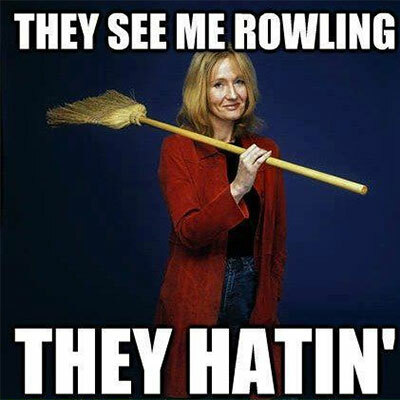 The foreword is written by Albus Dumbledore. The book contains the history of Magizoology and describes 85 magical species around the world, with Scamander saying that he collected most of the information over years of travel across five continents. The book features doodles and commnents by Harry and Ron, adding extra information for fans of the series along with comic relief. I have to admit: I was a bit disappointed by Fantastic Beasts. 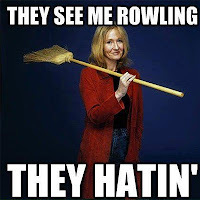 Sure, Rowling's trademark writing style is on full display, making for an enjoyable read, but a compendium of creatures, no matter of fantastic and entertaining, doesn't really float my boat. I really wish a storyline was added instead of just description upon description of beasts. The richly detailed history lessons and the debate parsing the differences between being and beast did, however, were well worth it. I also enjoyed the doodles and comments by Harry and Ron, which at least added some of the Harry Potter magic I was looking for. Do you want to tweet about AB²C, Tweety Bird? Use #RandomAndSome or get up close and personal @MOLMATT. Shoot her, SHOOT HER! It's that time again.